FEDERALLY DESIGNATED OPPORTUNITY ZONE! FINANCING INCENTIVES AND PERMITS FAST TRACKED! SHOVEL READY IN 60-90 DAYS! 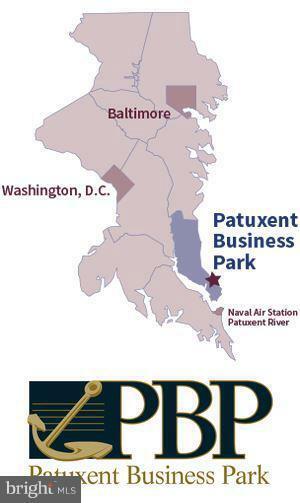 Southern MD's Premier Place of Business. Ideal location for commercial industrial, convenience store, Hotel/Motel, Industrial, Medical, Office, Retail, Restaurant, Warehouse, Warehouse/Retail, Storage, Office Building and many other uses. Nestled between the scenic Chesapeake Bay and the Patuxent River, Calvert County is located 30 miles southeast of Washington, D.C., offering: Strategic proximity to Baltimore, Annapolis and the PAX River Naval Air Station, Access to major transportation networks, Proximity to the resort destination of Solomons Island and the Chesapeake Hills Golf Course. This is Lot 14 (net usable 3.63 acres). 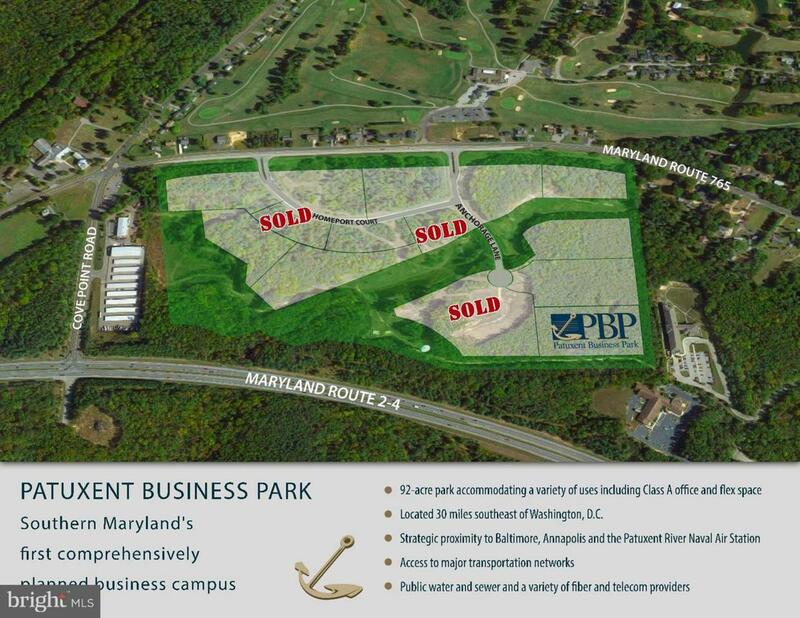 One of 12 Lots in the Patuxent Business Park. High speed voice and data connections. Public water & sewer. Lots from 1.77 acres up to 27.69 contiguous acres.